A gunman was apprehended this morning in Washington, D.C. after shots rang out in the lobby of a nationally-known pro-family organization. Reports state that at approximately 10:45 a.m., Floyd Corkins of Herndon, Virginia walked into the headquarters of Family Research Council carrying items from a Chick-fil-A restaurant. As he entered the lobby, the security guard asked him where he was headed. Corkins then pulled out a gun and shot the guard in the arm. Corkins, who is stated to be in his twenties, was immediately wrestled to the ground and disarmed. “Don’t shoot me, it was not about you; it was what this place stands for,” Corkins pled after his pistol was confiscated, according to eyewitnesses. He was held until police arrived. The security guard was taken to the hospital and remains in stable condition. 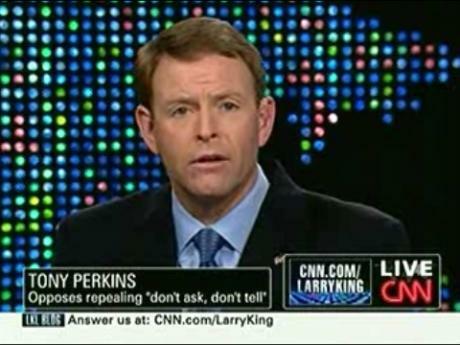 Family Research Council is a Christian-based lobbying group led by evangelical leader Tony Perkins, who opposes homosexuality and abortion. Some believe that the organization was targeted for this reason. No charges had been filed as of Wednesday evening as the suspect was still being questioned, but were expected to be pressed Thursday morning.